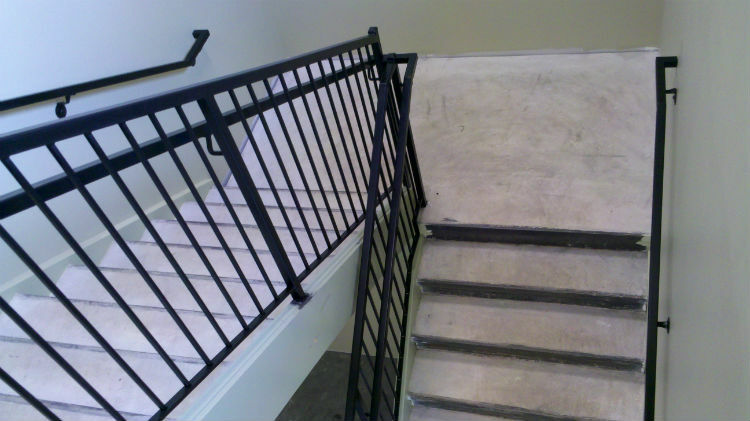 At Bel Air Stairs & Railings we offer a ﻿range﻿ of services, we are the full package. 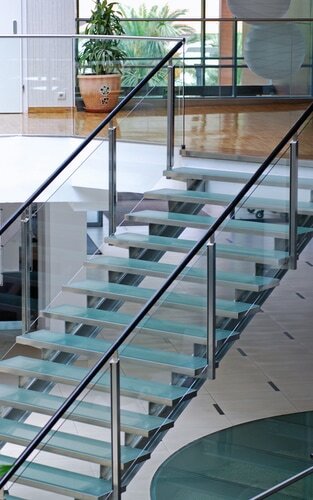 Not only can we do you decorative balustrades and railings but we are licensed to construct the stairs as well. Our stairs will be built specifically to meet your needs. Just as all of our other projects we start with your choice of materials. 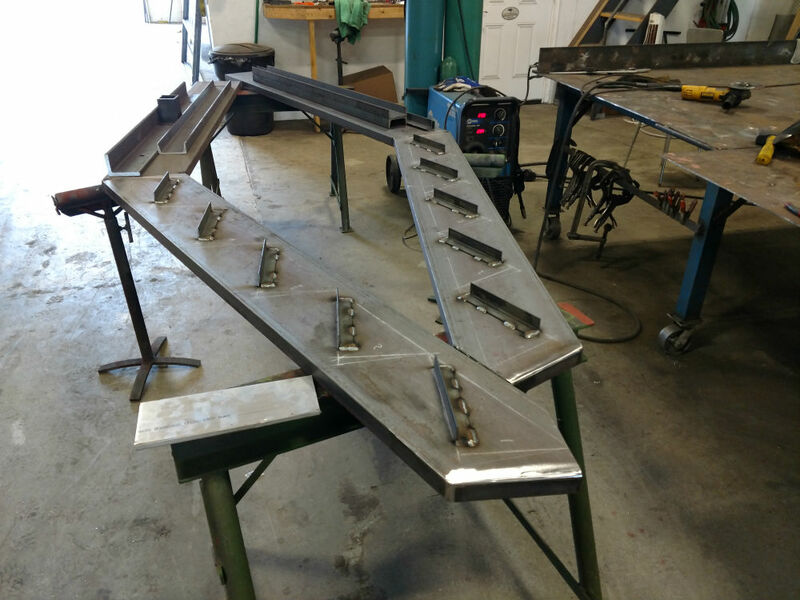 Except for the structural part, we always start with a steel structure, however, there are endless ways to customize it. There is a surprising range of choices that can change the look of the steel to get your desired look. By welding the structures it makes them last longer and they are more durable compared to other structures that are made with mechanical fittings, such as bolts and screws. In the picture you can see the most common materials used for the treads, which is, steel and wood. 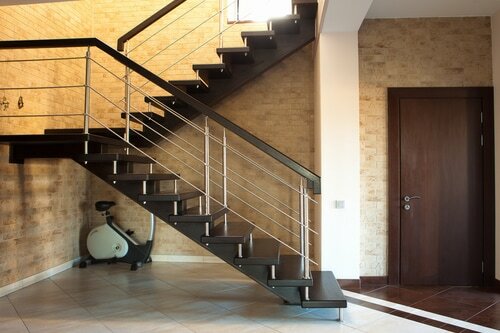 We are experienced in building pan stairs. They are called pan stairs because each tread acts as a ban and cement is then poured into it to create the step. 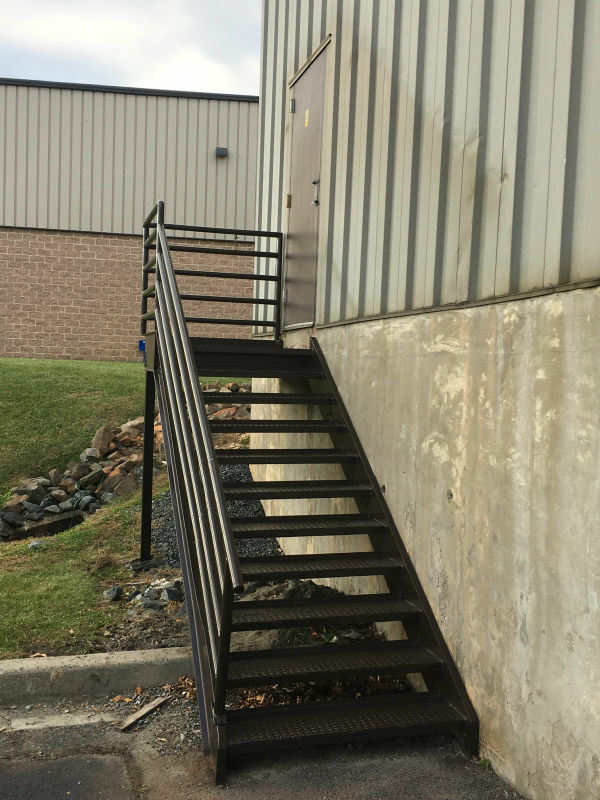 This type of stair is commonly seen in commercial settings but with a little modification such are tile or stone they can easily be installed in residential sites. The picture on the left is an example of an open riser. The riser is the part of the stairs that is vertical and stands in between each tread. With an open riser, you will be able to see through the steps. A closed riser is more traditional in homes, where there is a piece of wood that connects the two treads, so you can no longer see through the steps. 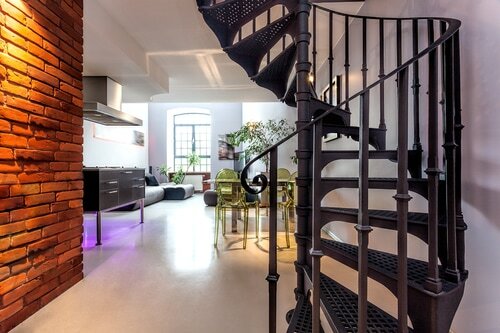 We are able to build many different configurations of stairs to help solve both space and design dilemmas. Our spiral staircases are classy and elegant and are also practical for tight spaces. Also for smaller spaces we can put landings in the stairs and turn them 90 degrees or even double back on themselves. 3 different words but mean the same thing, there is a choice of materials to construct them out of. In addition to the materials there are several different finishes to choose from, powder coat, painted, clear coatings for the natural look, polished, brushed or the rustic look. This product comes in many different shapes and forms: basket or scroll, ribbon designs, twisted, square or round, cast or forged, custom, or finally just straight. If you are looking for an alternative to the spindles and balusters we also offer cable wires which we can run horizontally, wire mesh, glass, and wood. We are excited to work with you no matter the stair project. We work for private homeowners as well builders or commercial and residential properties. Our projects are memorable and will raise the value of your property. Call us at 443-767-4067 or at the top of this page there is a form to get a FREE quick quote. Hit the Give me a Free Quote button and we will get back to you as soon as possible. We have worked all over the Bel Air area and would appreciate the opportunity to work with you.